At Jaguar Colorado Springs we offer new vehicle specials every month on a variety of our impressive Jaguar vehicles! One offer during the month of August is on our sporty and luxurious 2018 Jaguar XF Sportbrake. Our current offer is 1.9% APR for 60 months AND a $1,000 allowance credit on our remaining Sportbrake inventory. This offer is valid for qualified buyers with approved credit. It breaks down as $17.49 per month per $1,000 financed plus the dealer handling is included in the price! Tax, title, and license is extra. Hurry in soon – this offer expires 8/31/18 and we have only one of this amazing model left in our inventory! 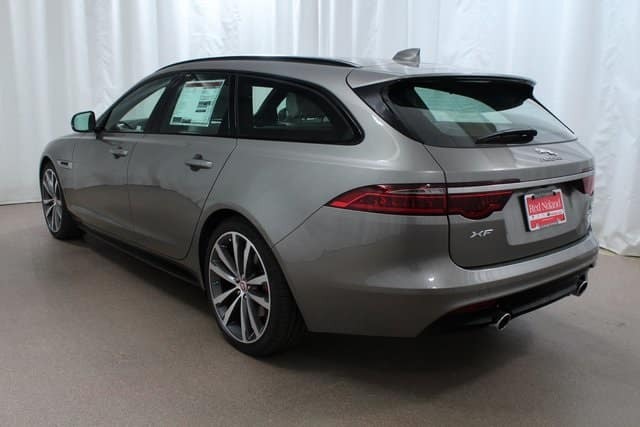 If it’s time to upgrade to a spacious, sporty, and luxurious vehicle, stop into Jaguar Colorado Springs today to learn more about the many features of the 2018 Jaguar XF Sportbrake!